With the announcement of the new minimum support price (MSP) of 14 kharif crops on July 4, the procurement of farm produce by the government is expected to rise. This may cause waste of produce since farmers will try to bump up the production of food crops but that may not prove fruitful in the absence of good storage and transportation facilities. While the new MSP has already not been fixed according to the formula recommended by Swaminathan Commission, increase in crop procurement may add to the problem by hiking post-harvest losses. Indian farmers incur Rs 92,651 crore per year in post-harvest losses, the primary causes of which are poor storage and transportation facilities. Ironically, according to the high-level Dalwai committee report , an investment of Rs 89,375 crore—a figure marginally lower than the annual post-harvest losses—is all it takes to improve the state of storage and transportation facilities for food crops. Since a market is the primary medium for farmers to exchange their produce for money, lack of logistics connectivity to ensure that their harvest reaches markets in time results in lowering of the farmers’ ability to monetise their produce. This becomes even more critical in case of perishable fruits and vegetables. “At the all-India level, the proportions of the produce that farmers are unable to sell in the market are 34 per cent, 44.6 per cent, and about 40 per cent for fruits, vegetables, and fruits and vegetables combined,” finds the committee on Doubling of Farmers’ Income. This means, every year, farmers lose around Rs 63,000 crore for not being able to sell their produces for which they have already made investments. But, except for cold storage, the country is lagging in all other agri-logistics required to bring the produce from farm to markets. If plugged, the sector can create over 3 million jobs, a majority of which will be at the village level, says the State of India’s Environment in Figures 2018. Although this seems to be a good show on the state of cold storage in the country, but it should be underlined that the existing cold storage capacity is confined mostly to certain crop types and not integrated with other requirements. In fact, close to only 16 per cent of the target set for creating integrated pack-houses, reefer trucks, cold storage and ripening units has been met. This means, there is an overall gap of about 84-99 per cent in achieving the target on improving the state of storage and transportation of the farm produce. Out of these, the country is far-far behind in meeting the requirement of integrated pack-houses, reefer trucks and ripening units. This gap needs to be fixed on priority considering the perishable nature of horticulture produce and their potential in boosting the farmers’ income. 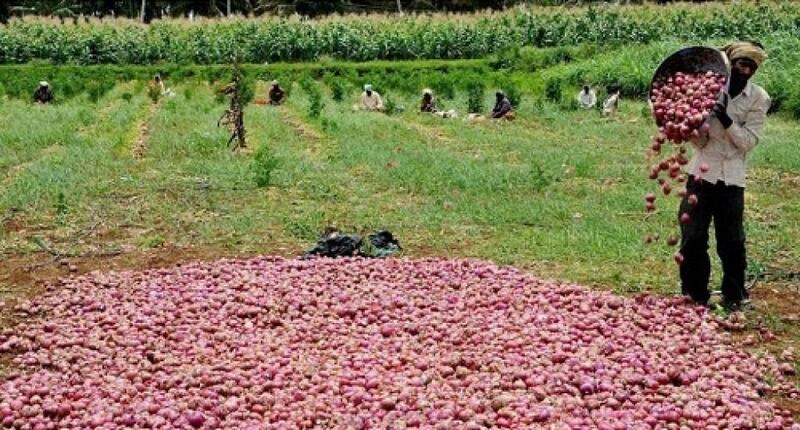 The recent government report too has encouraged farmers to take up horticulture to augment income and said that a farmer can earn an additional Rs 80,000 per hectare (ha) if they replace staple crops with horticulture. It has also projected an increase in demand for fruits and vegetables between now and 2050 by 228 per cent and 95 per cent. Picture this: even when horticulture is practiced in just 6.6 per cent of India's total cropped area, the country’s annual horticulture production has been consistently higher than food grains since 2012-13. Like all perishable products, horticulture produce demands sensitive handling and transportation support. In the absence of robust and sustainable logistics mechanisms more than half of fruits and vegetable produce end up as waste even before they arrive in the market, said the National Horticulture Board four years ago. But the vegetables and fruits are categorised as fresh perishable produce which need a provision of fastest transport with storage at receiving front-end. It should also be noted that the fresh perishables must not be stored at production centres but moved to demand side while still young and firm to withstand rigours of transport. It is here that the Indian Railways with its pan-India network is the optimal and preferred choice for movement of horticultural produce. 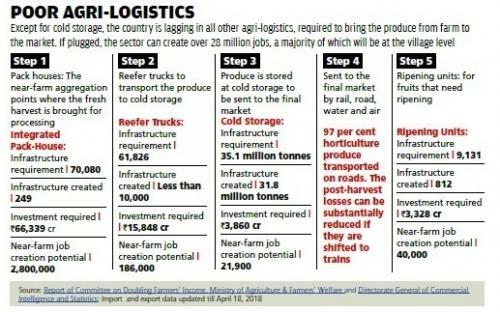 Yet, this burgeoning demand is not fully tapped or planned for in full pointed out the Dalwai committee report on post-production agri-logistics. 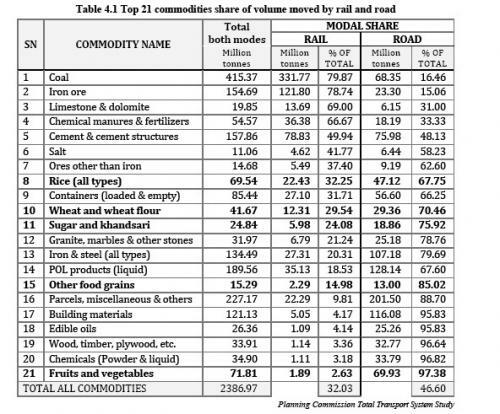 Among the top 21 commodities moved by rail and road, fruits and vegetables have the lowest share with railways. Quoting a planning commission report, the Dalwai committee has brought to forefront the role of Indian railways in addressing this need. About 1.9 per cent of the perishable fruits and vegetables are transported through rail, while 97.4 per cent of the produce is transported through roads. This ratio needs to shift in favour of rail network. The post-harvest losses can be substantially reduced if they are shifted to trains, but lack of rail facilities to safely handle perishable cargoes leaves that growing service need to be met mainly by the road transport segment. In 2017-18, 181 mt (metric tonnes) of vegetables were produced and that was about 1% higher than the year before. When it comes to fruits, 95 mt were produced, which was 2% higher than the previous year. This boom would have been celebrated by the farmers, but ironically the year saw an increasing number of farmers’ protests. Insufficient or low price for their produce due to surplus production was one of the causes behind this. But railways are capable of covering longer distances in shorter times and can empower farmers by allowing them to expand their market reach specially the perishable crops. While existing trade into local markets will continue, the amount that is surplus to the localised demand can be safely connected to consumers far away, thereby mitigating loss and increasing recovery from surplus. An investment in creating a robust post-harvest storage and transportation by investing Rs 89,375 crore will also create over 3 million jobs. And a majority of which will be at the village level, thus empowering the local, rural economy.